Google Assistant is Android’s voice companion, and it’s arguably the best around Google Assistant vs. Apple Siri: Which Is the Best Smart AI? Google Assistant vs. Apple Siri: Which Is the Best Smart AI? Siri may have been the pioneering voice assistant on a smartphone, but it’s been years since most of us took her seriously. Are other voice assistants simply better? Let's take a look. Read More . It lets you change settings on your phone, look up information, and send messages—all with just your voice. And with Google Assistant available to more phones than ever, it’s wise to maximize your efficiency 10 IFTTT Google Assistant Recipes to Boost Productivity 10 IFTTT Google Assistant Recipes to Boost Productivity You can make IFTTT and Google Assistant work in tandem to make you more productive. Let's check out these useful IFTTT recipes. Read More with it. As you probably know, Assistant can play all sorts of music for you. But if you don’t connect the accounts you want to use, this ability is severely limited. Here’s how to connect your preferred music service and set it as the default. Tab the blue drawer icon to open the Assistant menu. Select the three-dot menu in the upper-right and choose Settings. Choose Music under the Services header. Here, you’ll see a list of compatible music services. Tap the one you’d like to set as the default. If your preferred service is under the More music services section, tap it and follow the instructions to link it to your Google account. This only affects music played by asking Google Assistant. It’s especially worth a look if you use Android Auto to play music in the car so you can get to your favorite music faster. 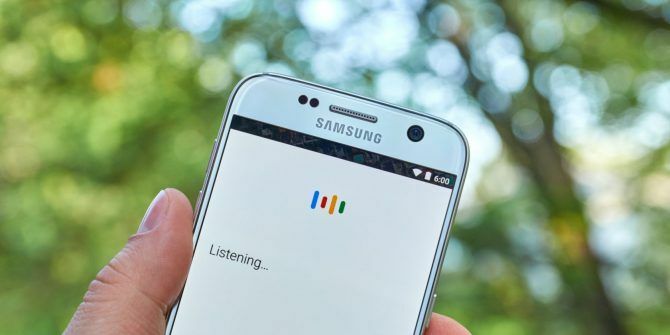 For more, check out additional tricks that Google Assistant can do 10 Things You Didn't Know Google Assistant Could Do 10 Things You Didn't Know Google Assistant Could Do Android's version of Siri---Google Assistant---is more powerful than most people realize. Read More . Explore more about: Google Assistant, Streaming Music. All these music players are not necessary for the phone, and yet the integrated music player on android phones cant be chosen, really..
why my google play music not in the list? ive update the apps for both but it only show for spotify and youtube. Is there support for Xiaomi music app? Do not allow to change default music player. Why do they force to use third class google music player. Poweramp does not show up, but it works to ask to play with Poweramp. Using Huawei P20 Pro. What if my services column didn't even show Music option? Because it isn't.? Same here, please post here if you find something. 3. This may work differently in countries outside the USA? Why they force to use worst Google music player. Changing default music player is disabled,that's strange. Damn shame that you can't choose your own offline music player such as Pulsar or VLC or so. Sure we have Spotify and Google Play Music installed, but Pulsar is our favourite. But of course, Google has to restrict to music services, leaving those who use music players in the dust. "Play music using Rocket Player"
yooo thanks so much for this!